Automatic Gas-Saving Cooking Stove Once connected to home barreled gas, the automatic gas-saving cooking stove, which is electronic controlled, can cook one china-pot of rice until done in 8 minutes. Being made of heat preservative and fire-resistant material, the cooking stove can save 30% gas. Such gas-saving and efficient Rice Cooker is especially suitable for dining-room, restaurant, etc. The number of the mouth within one cook stove can be two, four, six, eight, and so on. 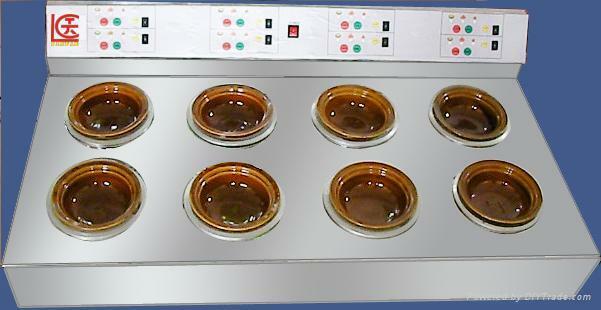 Now the preferential trade price of eight mouths cooker stove is ￥7200/set. Welcome procurement agent!